Nubia launching a bezel-less phone on October 12th. Nubia Z17S? 2017 is surely the year of bezel-less smartphones. From Note 8 to the iPhone X, we have seen a ton of bezel-less phones till now. Last month, we got to know via a teaser that Nubia is also going to launch its bezel-less phone this year and guess what, today the company disclosed the official launch date of the device via its Weibo account. 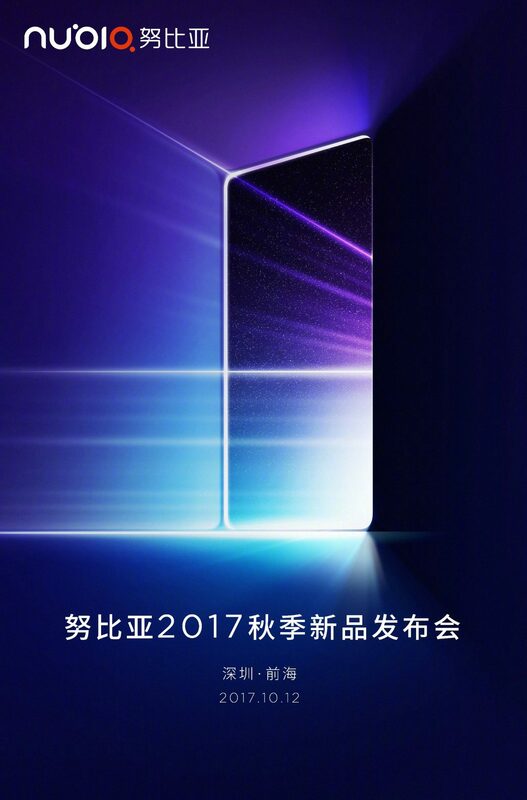 Recently, we got to know that Nubia Z17S is also launching soon so probably, it is the bezel-less phone that the company is going to launch next month. Well, we still are not sure if the phone launching on October 12th is Nubia Z17S but stay tuned as we will be updating you with the latest information.